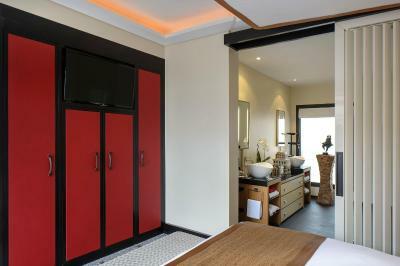 Lock in a great price for Five Seas Hotel - rated 9.3 by recent guests. The breakfast was excellent. The staff very friendly. The spa excellent. The DJ on le roof terrace on Friday evening was very good. Pool was great. Large room with very comfortable beds. Good choice of room entertainment. Excellent location. Great service! I lost my earring and they went out of their way and found in it back in the vacuum cleaner! The bed was very comfy, and the staff friendly. The housekeeping staff were great at their jobs. Loved the little touches! I loved the hotel in general. Big space and nice balcony. Comfortable bed and pillows. 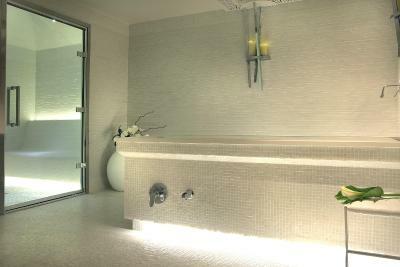 Nice big bathroom with a shower and bath for your choice. Free non-alcoholic bar, but sometimes you need a beer in the morning :) Little breakfast is also included, but that is enough for me in the morning. Will come back one day! Big balcony, very big comfy bed, big shower, acoustic curtains, very nice roof top pool, lovely room lighting, private beach free of charge with hotel transport, free of charge drinks refills daily. Good buffet breakfast. Lots of restaurants and pubs around open late. The location was perfect. 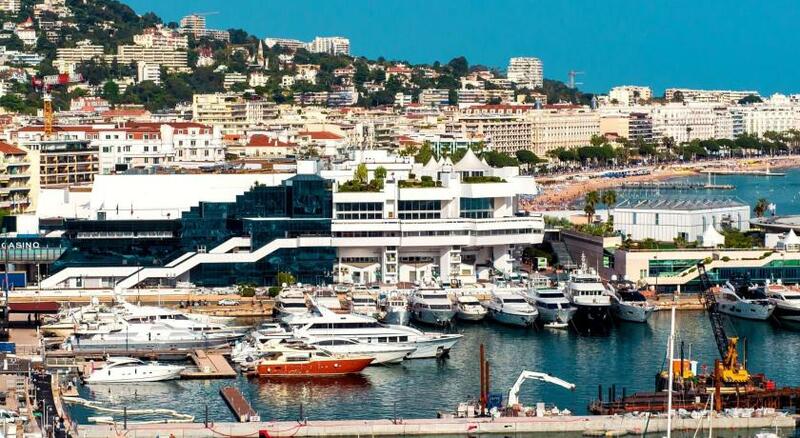 We visited the Cannes boat show and was so easy to get around. Loved the rooms, they were nice and spacious . Loved the fragrance through out the hotel! Loved the fresh produce for breakfast. 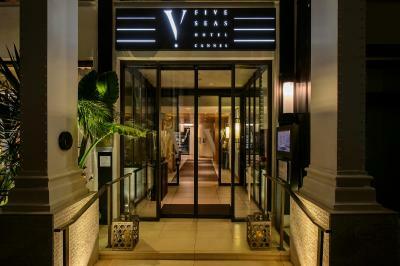 The staff were amazing, especially concierge and reception. The only tip I would say is that the music whilst having an evening meal didn’t make the ambiance warm, it would have been more warming if it was classic French music and not upbeat music. The staff here are so friendly and helpful, nothing was a problem for them!! Breakfast setting is beautiful! Rooms are clean, beautiful and comfortable!! 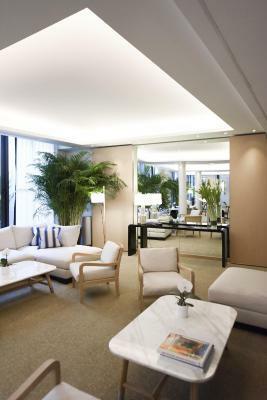 Located 100 yards from the sandy beaches of la Croisette and the Palais des Festivals, Five Seas Hotel offers spacious rooms and suites. 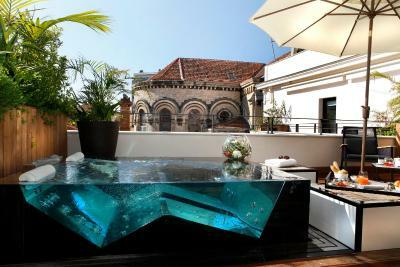 It features a roof-top terrace with a 20 yards outdoor swimming pool and a lounge bar. 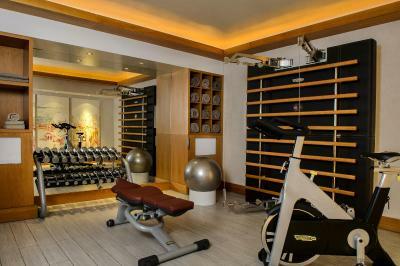 The contemporary rooms and suites are air-conditioned and include a flat-screen TV and a complimentary mini-bar. 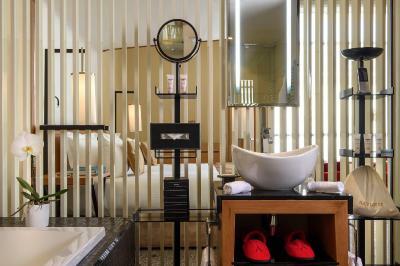 Bathrobes, slippers and Carita toiletries are provided, and free WiFi access is included. 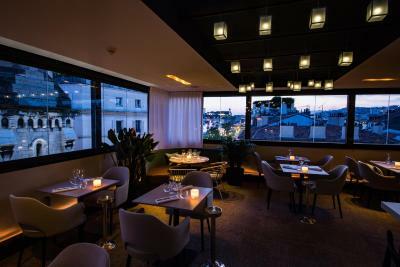 Located on the 5th floor with views of the old town of Cannes, Le Roof offers an innovative cuisine, designed for sharing. 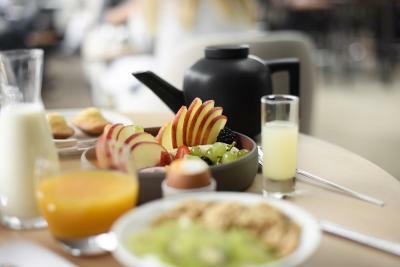 A continental breakfast is served in the breakfast room. 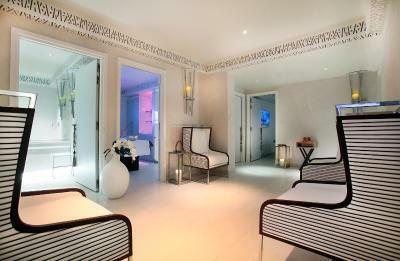 Guests can relax in the spa which has a hammam, 2 saunas and a relaxation room. 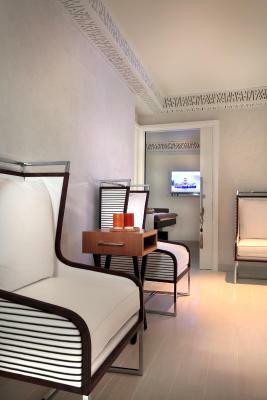 The spa features treatments by Cinq Mondes and Carita. 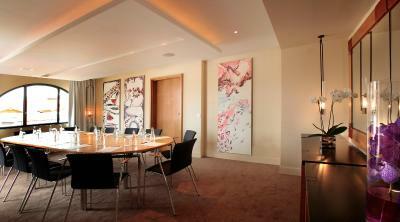 Five Seas Hotel offers technologically equipped rooms for meetings, seminars and receptions. The hotel also has a private yacht available for rent. 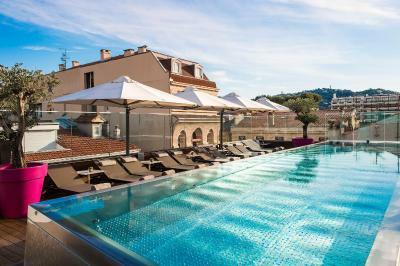 Nice Airport is 17.4 miles away and Cannes Train Station is 350 yards from the hotel. Private parking is available on site. 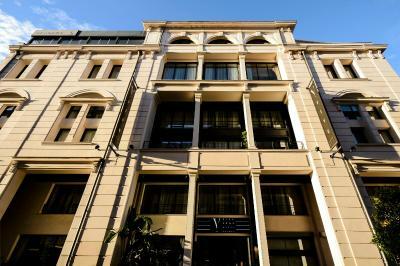 Five Seas Hotel has been welcoming Booking.com guests since 27 May 2011. 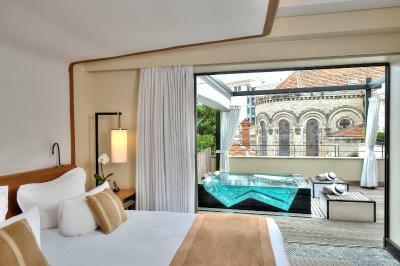 When would you like to stay at Five Seas Hotel? 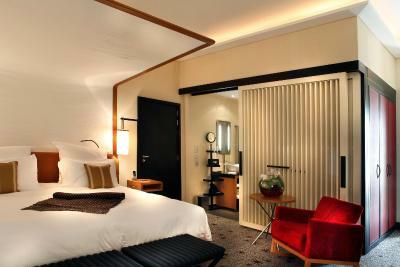 This spacious room is air-conditioned and features a flat-screen TV and a complementary mini-bar. Bathrobes, slippers and Carita toiletries are provided. Free Wi-Fi access is included. Coffee and tea making facilities are available in the room. No extra beds are possible in this room, but a baby cot can be accommodated. 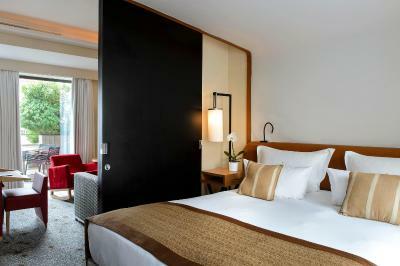 This larger room is air-conditioned and features a flat-screen TV and a complementary mini-bar. Bathrobes, slippers and Carita toiletries are provided. Free Wi-Fi access is included. Coffee and tea making facilities are available in the room. An extra bed or baby cot is possible in this room. 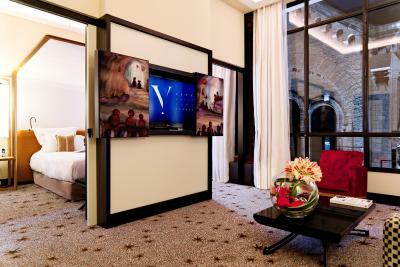 This suite is air-conditioned and features spacious sitting area with a flat-screen TV and a complementary mini-bar. Bathrobes, slippers and Carita toiletries are provided. Free Wi-Fi access is included. Coffee and tea making facilities are available in the room. 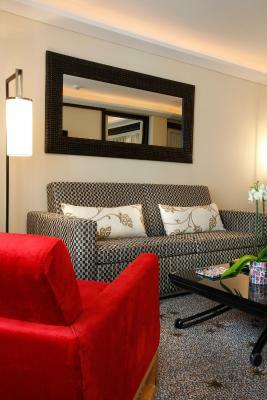 This room includes a sofa bed, which can accommodate 1 or 2 children. An extra bed (for children aged 3 - 12) is free in this suite. 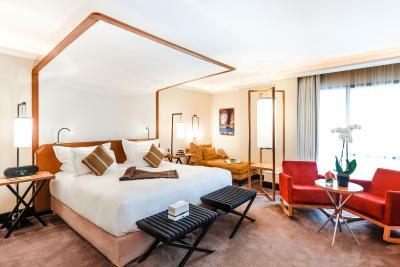 This spacious suite is air-conditioned and features a separate sitting area with a flat-screen TV and a complimentary mini-bar. Bathrobes, slippers and Carita toiletries are provided. Free Wi-Fi access is included. Coffee and tea making facilities are available in the room. 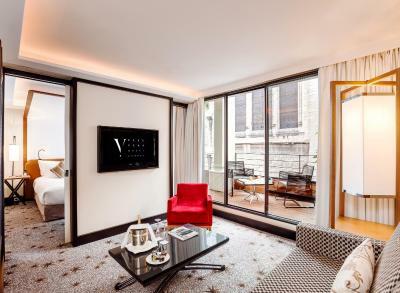 This 40-m² spacious room features an en-suite bathroom and a private terrace. 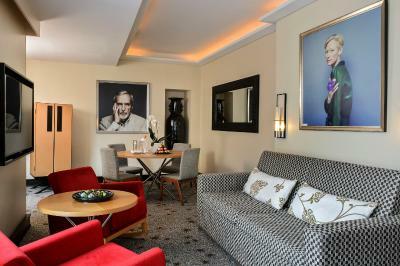 Guests can enjoy panoramic views of The Suquet, Cannes' Old Town and The Port. This room can accommodate a child up to 2 years old for free in a baby cot. 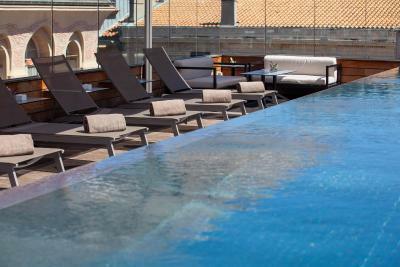 This spacious suite offers 2 bedrooms, 2 private bathrooms and 38 m² terrace with a hot tub. 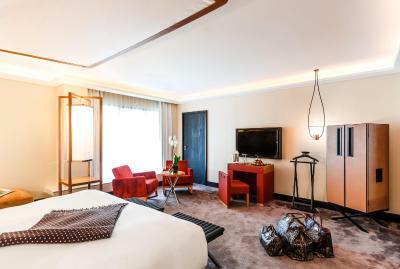 With free WiFi, the suite is air-conditioned and features a spacious lounge with a flat-screen TV and a complementary minibar. Bathrobes, slippers and Carita toiletries are provided. Coffee and tea making facilities are available in the room. 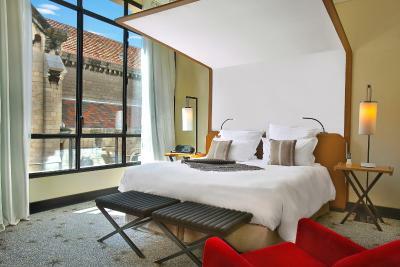 This room is air-conditioned and features a flat-screen TV and a complementary mini-bar. Bathrobes, slippers and Carita toiletries are provided. Free WiFi access is included. Coffee and tea making facilities are available in the room. 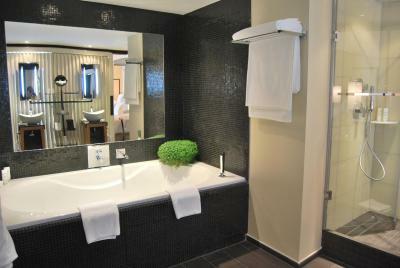 House rules Five Seas Hotel takes special requests - add in the next step! Five Seas Hotel accepts these cards and reserves the right to temporarily hold an amount prior to arrival. A baby cot can be accommodated in every room upon request. It is possible to add an extra bed for a child or adult in the Executive Double Room, Junior Suite and Family Suite. 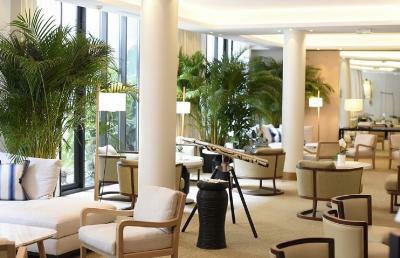 It is free of charge for children aged 3 to 12 years old in the Family Suite. It is not possible to add an extra bed in the deluxe rooms. 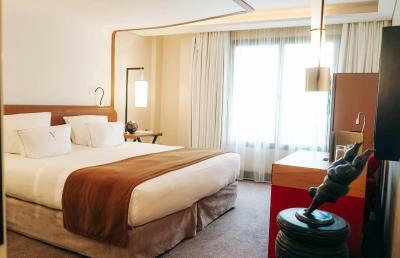 One child aged 3 and older or an adult will be charged EUR 75 per night in an extra bed in the Executive Double Room and Junior Suite. 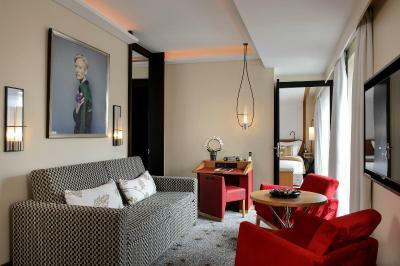 One child aged 13 and older or an adult will be charged EUR 75 per night in an extra bed in the Family Suite. 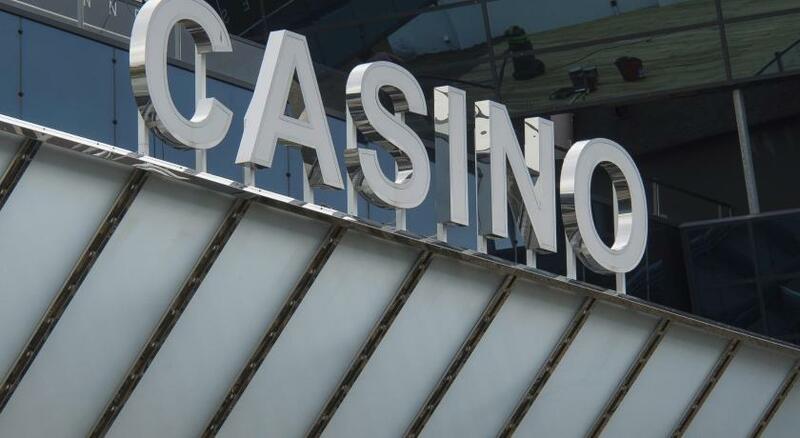 Please note that the credit card used for the booking will have to be shown upon check-in as well as a valid ID. If guests don't provide this credit card, they are required to provide another credit card on which the stay will be charged. Please note that for flexible rates, a pre-authorisation of the full amount of the stay will be held 3 to 14 days prior arrival. 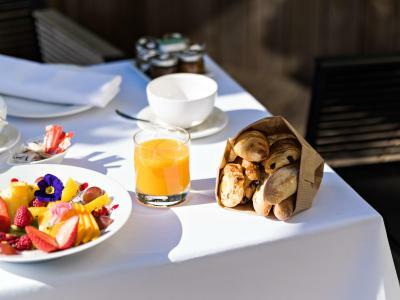 Please note that if guests wish to have continental breakfast delivered to their room, a EUR 35 extra fee will apply per guest. The club sandwich for room service wasn’t very good. Needed to be more toasted with more chicken and bacon. The choice available for room service was average and expensive. 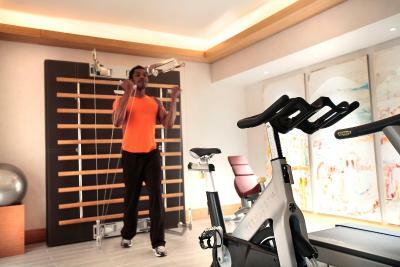 The gym was too small and hot, not sure the air con worked. Wonderful stay at a beautiful hotel ! The AC wasn’t the best but it wasn’t a problem. I just enjoy my room being extremely cold. 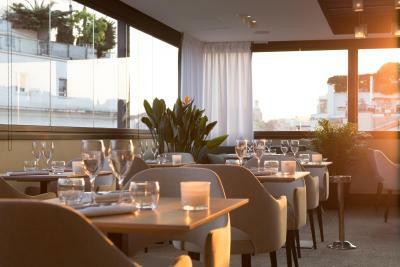 Very friendly staff Really good breakfast Rooftop bar with music and drinks Right at the heart of Cannes near the Train station Chocolates at checkout! No water in the coffee machine is uncomfortable. Also we ordered a tomato juice in the bar after the breakfast and been a bit dissapointed, because they didn't have it. There should be a classic juice selection in 5-star I think. 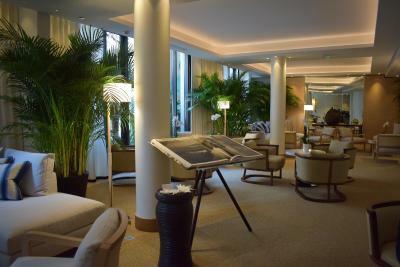 The friendliness and assistance of the staff along with the excellent location of the hotel itself! Great room and extremely comfortable bed. Breakfast in bed was good. Location is good. Bar on terrace was great. Thank you for also finding our ipad.